Painted Turtle Book, 9780814334843, 161pp. If the MC5 were Detroit's political spokesmen for the disenchanted youth of the 1960s, then the Stooges were the loutish kids, heckling from the back of the room. While conventional wisdom says they could barely play their instruments, the Stooges left an indelible mark on the world of punk rock, and the band's initial three albums-The Stooges, Fun House and Raw Power-are bona fide classics. In The Stooges: Head On author Brett Callwood treats the band's story not just as an early chapter in the career of its famous front man, Iggy Pop, but from the Stooges' beginnings at the end of the 1960s, to its end in the early 1970s, and to its reunion in 2003 through the present. In compiling this exhaustive account of the band's history, Callwood interviewed all of the central and sometimes Stooges members, including Iggy Pop, Ron and Scott Asheton, James Williamson, Mike Watt, Steve Mackay, and Scott Thurston, and largely lets the band tell its own story in numerous long quotes. Callwood details the band's genesis as teenage friends in Ann Arbor, their time living together in their legendary party houses in the 1960s, and the recording of the three original Stooges albums. He examines the addition of James Williamson to the band on Raw Power and how it changed the band's sound and dynamic, along with the band's fateful meeting with David Bowie on its first British tour. As Iggy broke out as a solo artist during the 1970s and 1980s, Callwood charts the Asheton brothers' post-Stooges experiences, with Ron's turns in The New Order, Destroy All Monsters, and Dark Carnival, and Scott Asheton's time with the Farleys and Sonic's Rendezvous Band. He also provides an overview of Iggy's solo career, the seeds of a reunion that were planted with a collaboration on Iggy's Skull Ring album, and the eventual reformation of the band and the recording of their fourth album, The Weirdness, in 2004. 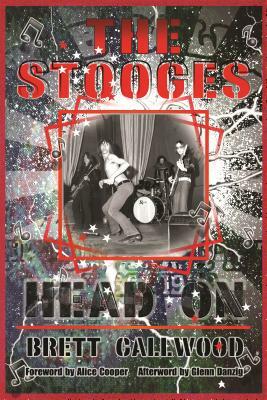 Originally published in the U.K. in 2007, The Stooges: Head On has been revised to expand on the original story and also to consider Ron Asheton's untimely death in 2009 and his musical legacy, the band's fate without Ron, and the Stooges' long-overdue introduction into the Rock and Roll Hall of Fame in 2010. Fans of the Stooges and those interested in the roots of punk music will enjoy this intimate and informative volume. Brett Callwood is a music journalist whose work has appeared in the Metro Times, Metromix, Modern Drummer, and Classic Rock, among other publications. His first book, MC5: Sonically Speaking, was published in the U.S. by Wayne State University Press in 2010.